Use Perfect Property to find your next perfect house to buy in Sandymount. Sandymount is a beautiful coastal town located 4.8km south east of Dublin’s city centre. It is about a 15-minute drive by car via the R802 Motorway. The DART and a number of Dublin Bus routes primarily service the area. There are also convenient Greystones and Dalkey Aircoach services that provide transport to the Dublin Airport. Sandymount is a desirable place to live due to its close proximity to the city centre and its elegant seaside escape. Sandymount homes are traditional in old-world style, but are modernised to include fresh efficiencies. Residences are treated to lovely views of an expansive seaside, a beautiful Strand, the Dublin Bay, blossoming gardens, verdant terraces, leafy parkland, and the idyllic Village Centre. Many Sandymount homes are in convenient walking distance to the town’s centre. Homes are luxuriously styled in Period design, and one can expect to find Victorian, Tudor, Georgian, Edwardian, Eighteenth Century, modern, contemporary, cottage, and Red Brick. New construction and refurbished dwellings enjoy the ease of modern amenities, well-appointed décor, spacious living areas, and sustainable energy efficiency. 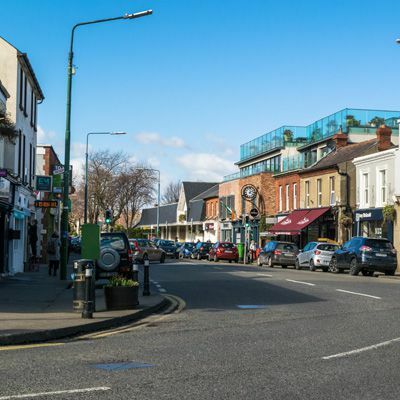 Sandymount Village is outfitted with retail shopping, convenience stores, and delicious restaurants, cafes, delicatessens, and pubs. It’s also in close proximity to neighbouring Ballsbridge, which also has many shopping and eatery choices. Sandymount is equipped with various leafy walking and cycling trails, and leisure and recreational activity centers, including Sandymount Green Park. The idyllic Promenade is a stone’s throw away and is a popular location to take a stroll along the Strand. The town also has a number of sports clubs, including cricket, rugby, GAA, badminton, and various water sports activities. Sandymount is a great place for families of all ages. There are a number of primary and secondary schools, as well as a Scoil school. Sandymount places education as a top priority, and school awards include Golden Shamrock Award, Universal Design Grand Challenge Student Awards, and Star of the Sea Awards. You can filter Sandymount properties by price, bedroom size, square footage and more. There is also the option to filter by a property must-have, such as aview if you are seeking a house to buy in Sandymount where you view the seaside from your own window, or even a newly renovated property. You can also check apartments for sale in Sandymount if you are looking for something a little smaller. Don't let the perfect apartment, townhouse or house for sale in Sandymount get away. Looking to rent in Sandymount? Search houses for rent in Sandymount and filter by home types, price and size.